Considering how well known the Burlington community is for the love of outdoor sports and open-minded culture, it is no surprise that the Sailing Team is one of the most popular and competitive club sports at UVM. We compete in the New England Intercollegiate Sailing Association (NEISA), which is one of the most competitive districts in college sailing. The team attends an average of 4 to 6 regattas per weekend. While the competition for spots at top events each weekend is hot, the expansive schedule ensures that everyone who demonstrates commitment and hard work at practice, will have the opportunity to sail. Most regattas that we attend are either fleet or team racing in double-handed dinghies, and the team occasionally sails in some sloop and single-handed regattas. 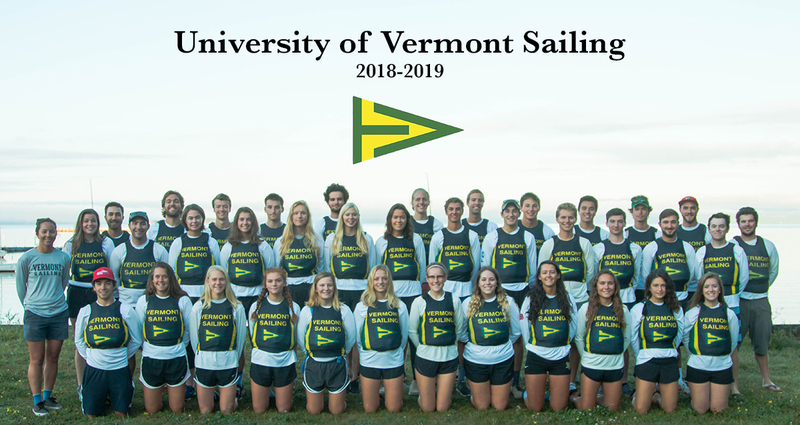 The sailing team is funded as a club sport through the Student Government Association at UVM, and fundraises actively to augment its budget each season. We have a fleet of 18 collegiate FJ's and operate out of the new Lake Champlain Community Sailing Center right on the Burlington waterfront. Follow us on Facebook, Instagram, and sign up to receive our newsletters to stay up to date with the University of Vermont Sailing Team.